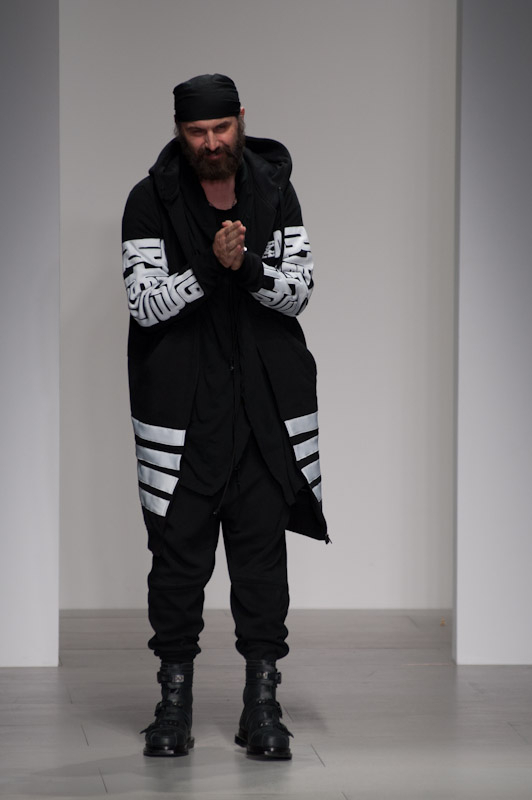 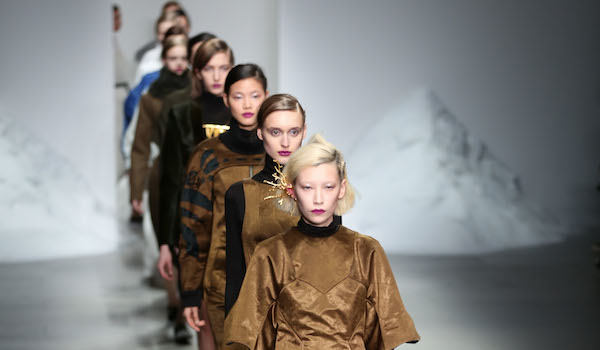 Lucas Nascimento produced a very theatrical collection. 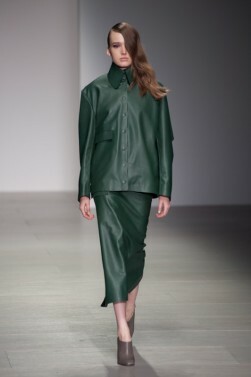 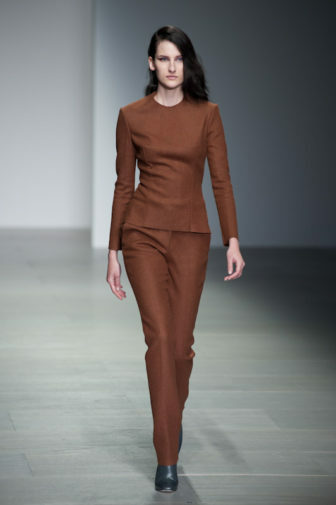 Leather was the key material for the womenswear brand and was used prominently in the form of bold leather suits with large collars. 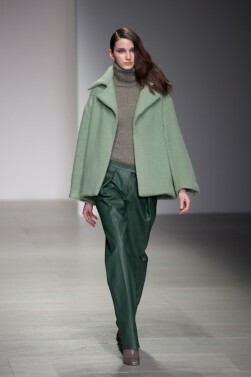 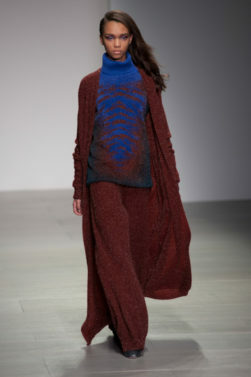 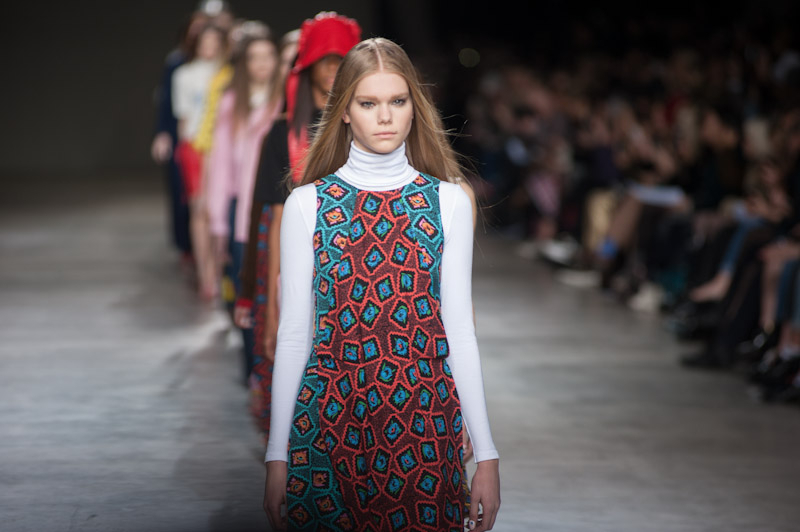 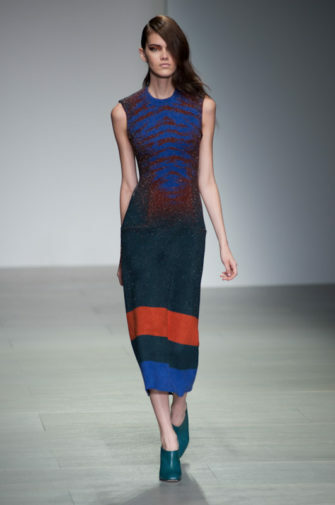 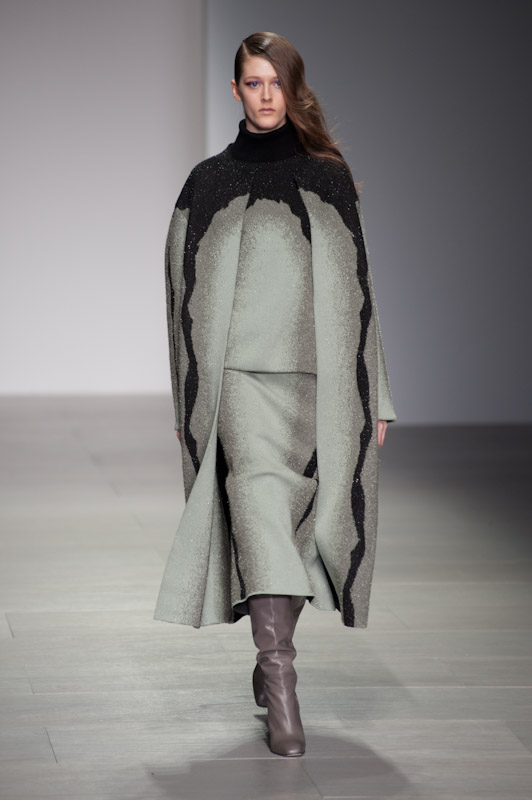 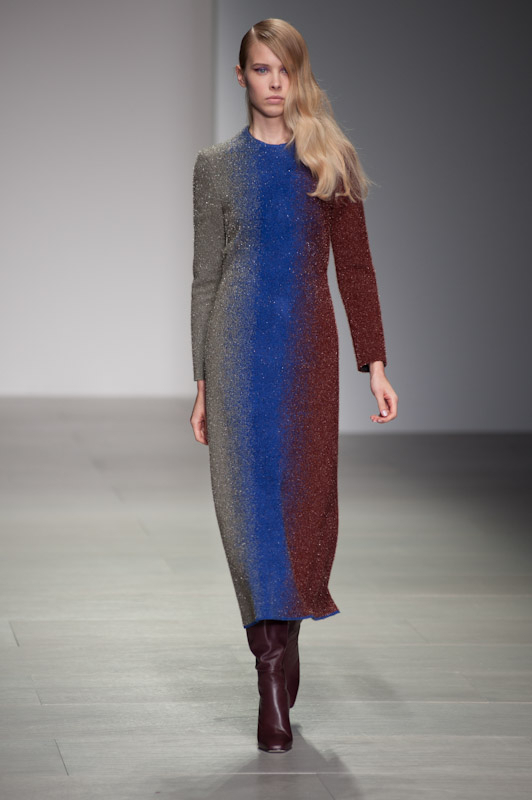 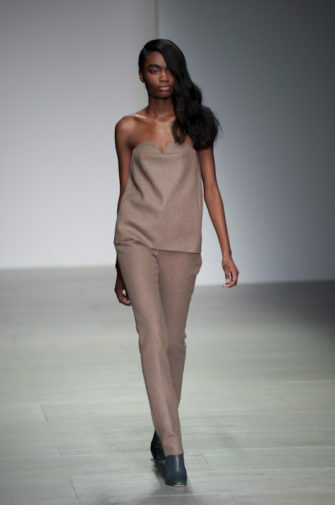 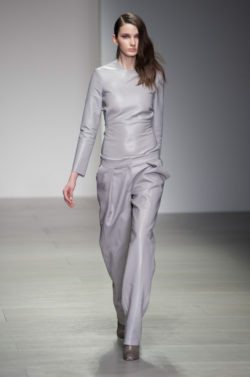 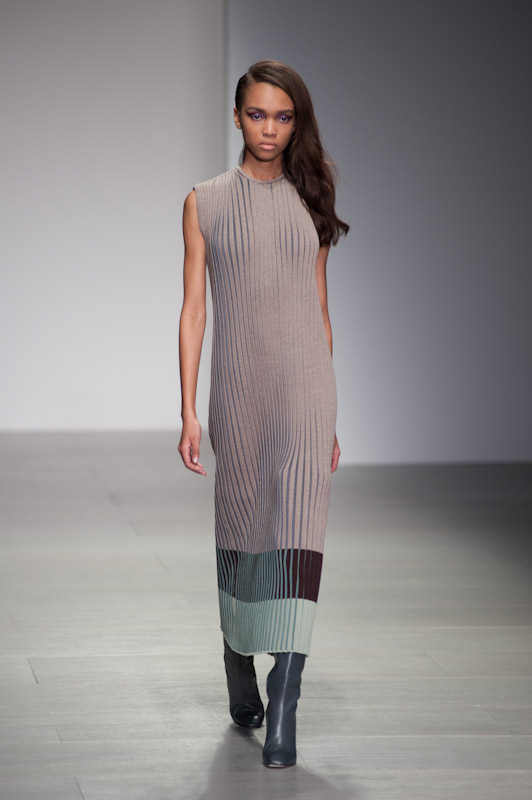 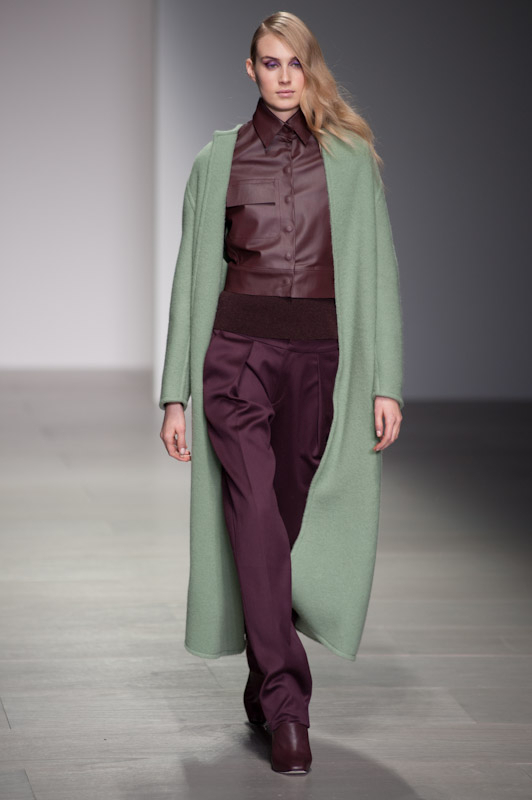 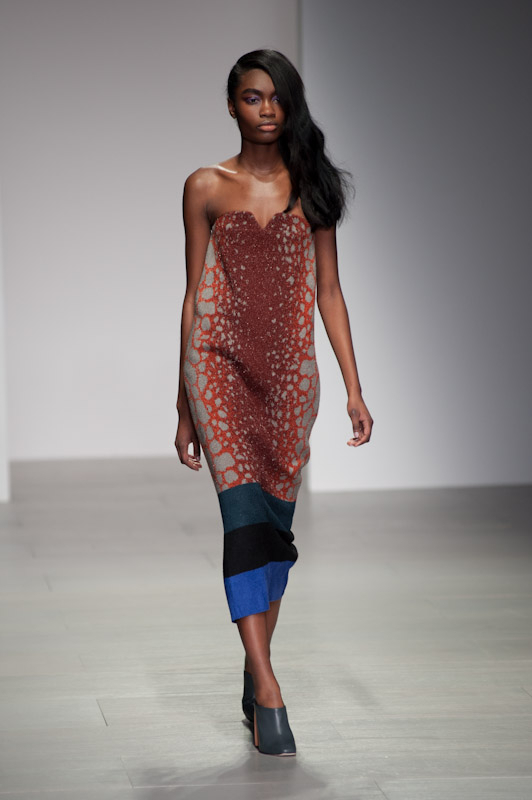 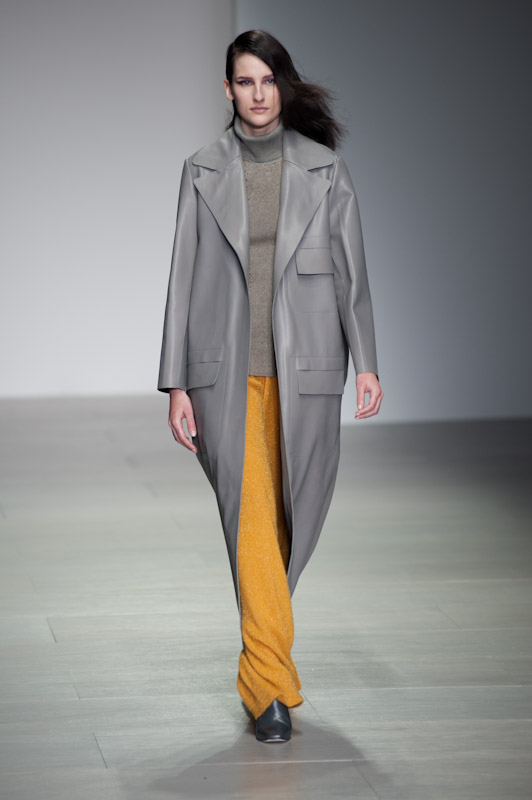 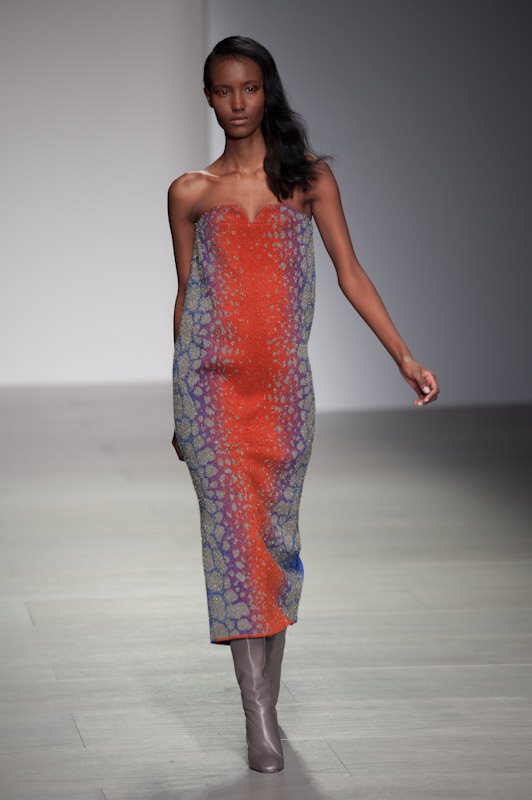 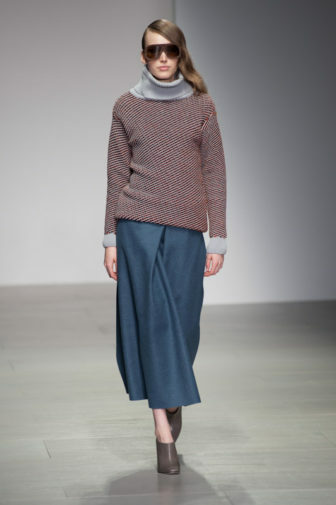 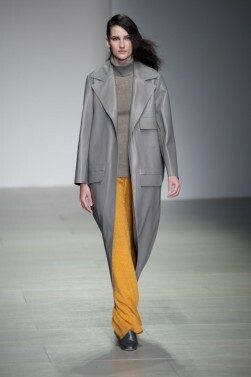 Short skirts are out; Lucas showcased long knitted maxi dresses of very earthy tones. 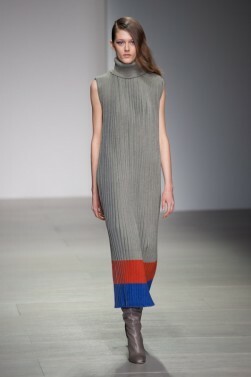 The designer styled the outfits with low-cut ankle boots that matched in perfect sync with the dresses. 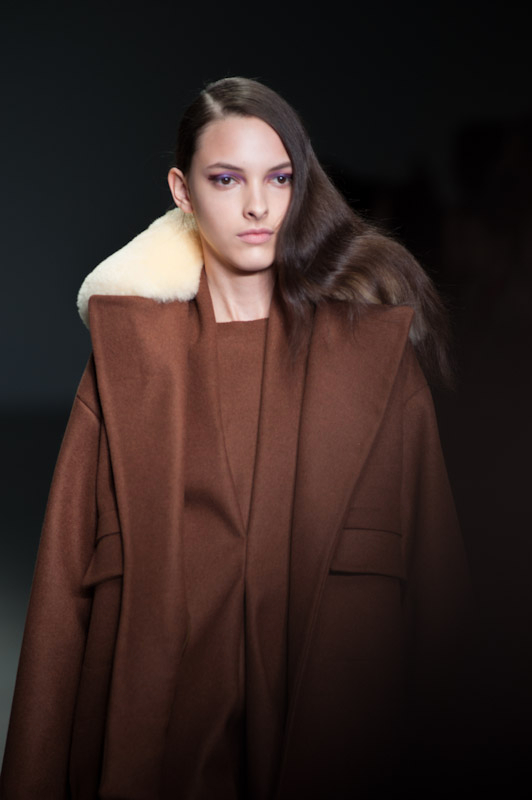 One of the key pieces that can brave winter weather is a jacket with a shearling wool collar. 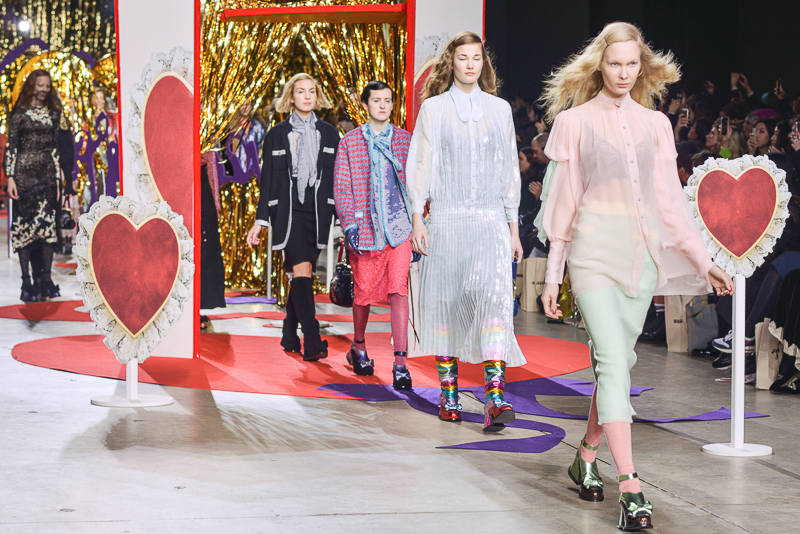 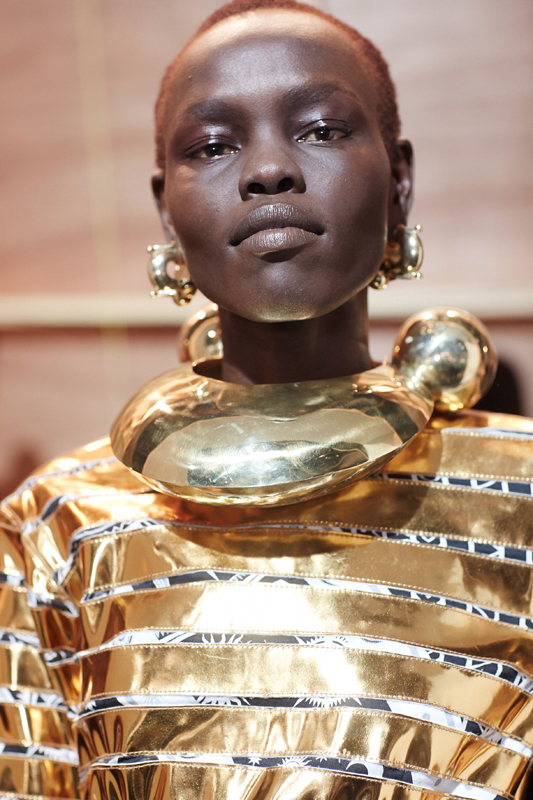 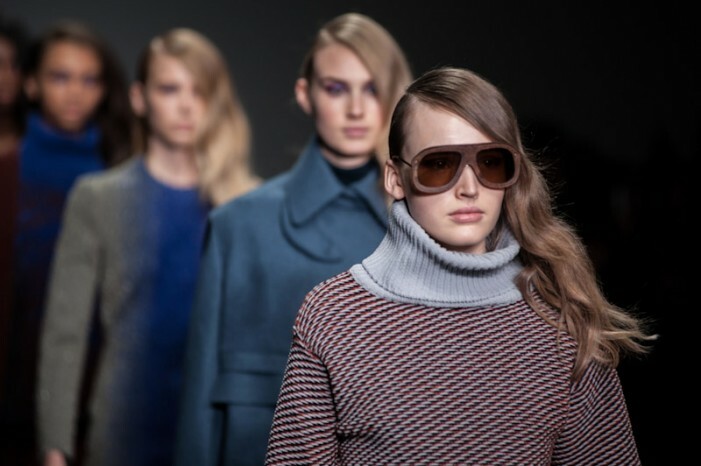 Thick-framed wooden sunglasses encouraged the natural theme of the show but was balanced with sparkles that raved to light. 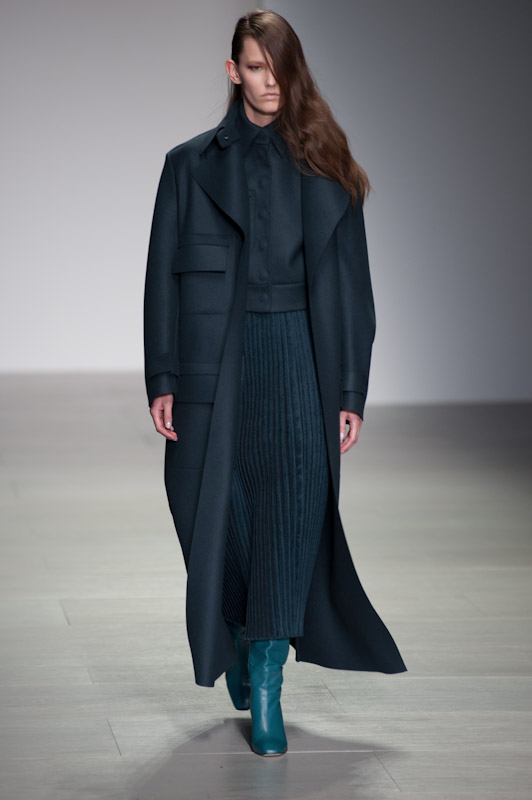 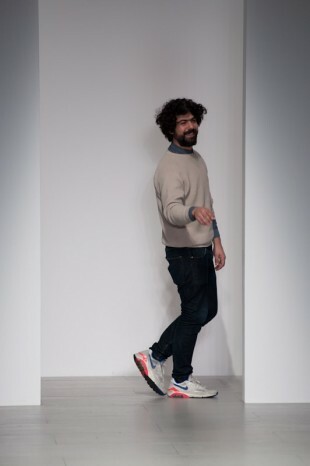 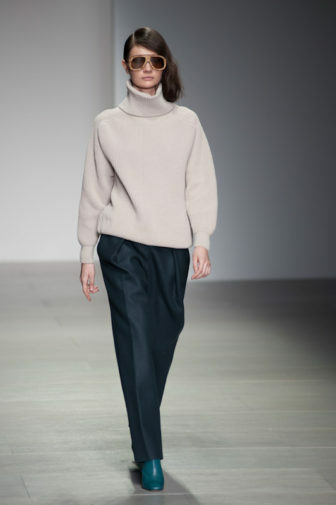 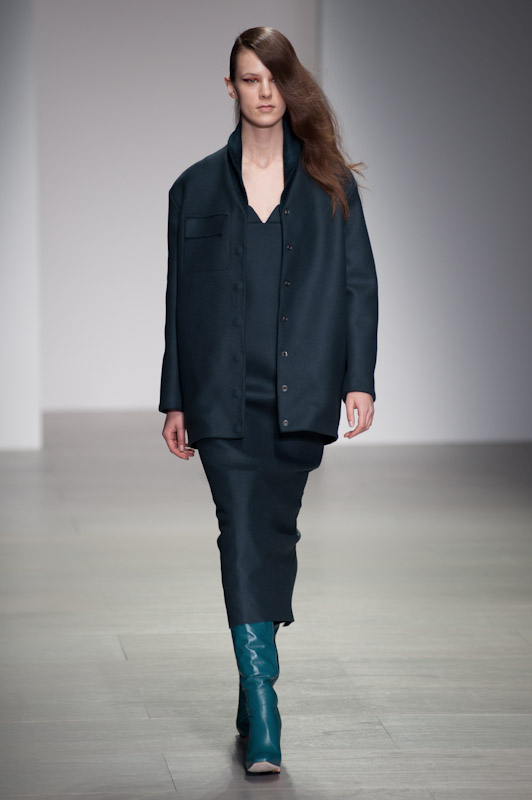 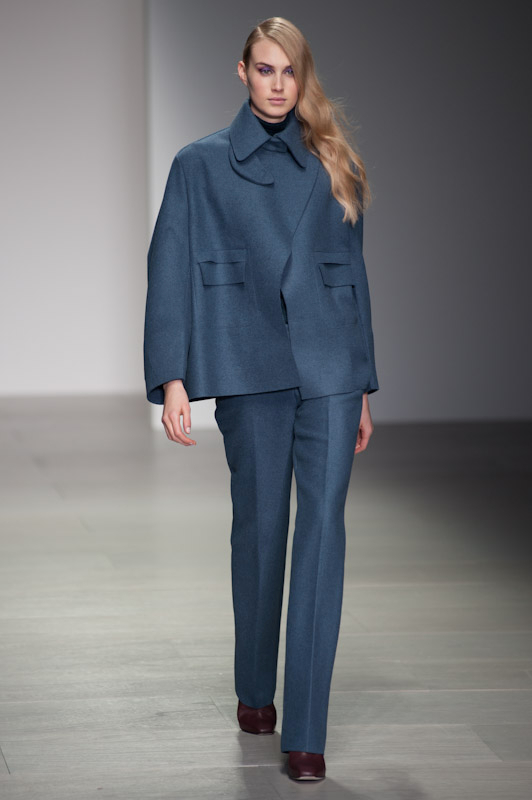 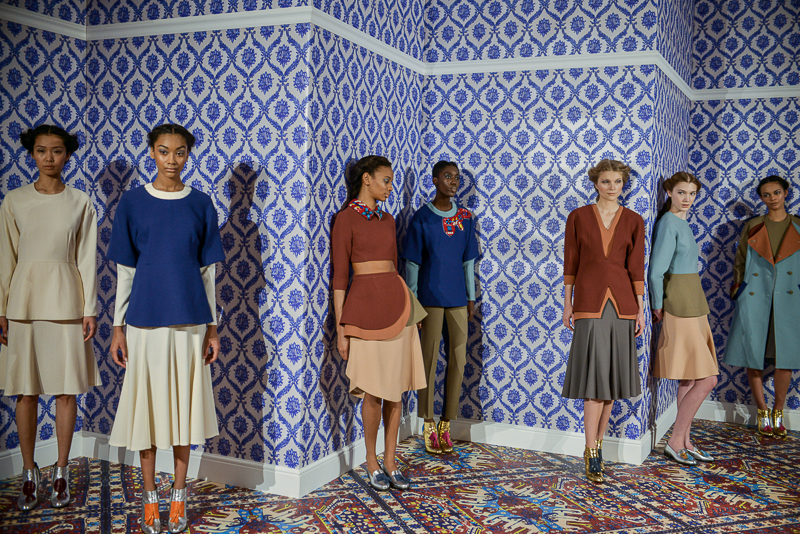 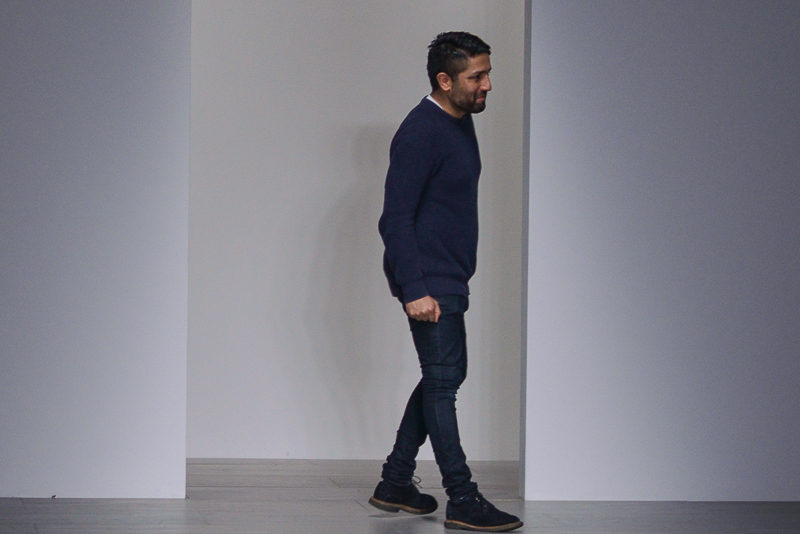 To see our behind the scenes report for Lucas Nascimento’s A/W 2014 collection visit here.